Key #1: CHEMISTRY. You must have some sort of magic or frequency. You can have chemistry with 50 people. Don’t be a slave to chemistry. Key #2: CONNECTION. A draw or desire to go further with that person. There’s a sense of need to be together but the need has to be qualified. That need will be mutual at the same time. Key #3: WHOLENESS. This qualifies the connection. Co-dependency will connect two people. Building a bond based on co-dependency feels like love. A soul mate doesn’t fill a void. The relationship will be irrelevant once the issues of the individual are addressed. You will sabotage a soulmate if you’re not whole. Feeding loneliness will get you in trouble. Key #4: DIVINE CONFIRMATION. You need a word from God. You should feel the presence of God. Spiritual life and love life are not separate. He will always confirm that this is your soulmate. Key #5: KNOW A SENSE OF PURPOSE. Your soulmate is for your purpose. Don’t waste time! Be honest if you’re lonely. If you don’t know, it’s a NO. It’s always a NO unless God says YES. Okay so those are the keys but there’s so many more nuggets in the video! Check it out, reflect on the lesson, and share your thoughts so we can speak openly about love, life, divorce, and soulmates!! Happy Tuesday!!! There’s a major stigma attached to divorce in the church. Christians are taught that marriage is until death do you part. But what if the marriage wasn’t ordained of God? What if the marriage is not in alignment with your purpose. This isn’t about experiencing hardships and running from them. This isn’t about growing weary in your marriage and wanting something fresh and new. This is about seeking God as it relates to your purpose and the idea that the one you married has a purpose that doesn’t agree. Watch the video, keep an open mind, and let’s dialogue! I want to hear from you because I KNOW you have an opinion on this one! Happy Tuesday!! At some point, I can promise you, almost EVERY MARRIED PERSON who has been married a substantial amount of time, has asked themselves, “Is this REALLY the one God intended for me?” Problem is, when things aren’t going so great, nowadays, the average person doesn’t stick around to see if they could be wrong. What is ALWAYS tricky to me about the topic of divorce & “God-ordained marriage” is, how does that not become an excuse to get divorced to every person you marry. I mean, how do you EVER truly know it’s God-ordained/soul mates (& when you do, what if your spouse grows to feel differently?)? When you get married UNDER GOD in front of witnesses, that isn’t enough?? I’m just kind of confused by this. It’s a slippery slope indeed. There are saved people who swear up & down they are hearing God’s voice on spiritual matters and who get married…promising to love, honor, & cherish one another ’til death does them part & they get divorced. I know more than I care to. It’s pretty pitiful. They swore up & down they were soulmates and one chick even told the congregation, “God hand picked him just for me) but are no longer married. In a lot of instances, its as if people pull this ‘card’ to get out of their union & feel justified…just like the world does. “I acted outside of God’s will when I married him/her & now I gotta fix this mistake.” FAIL!! What makes us any different if we are going to cave & crumble & throw it away. I think that some people say they hear God, but they just don’t. Just because they swear up and down doesn’t mean they heard God. They may have thought it was God, thought they were suppose to say it was God or felt genuinely happy and at peace at the moment, but all those feelings were based off the wrong things. And you should never make a decision based on emotions. In Bible Study our Bishop says don’t make a permanent decision based on temporary feelings. I agree on all the points in the video. However, I’m not sure if the assumption is there is only one right person for you. I’ve heard the teaching that God presents options, but the choice is yours, obviously the one who is equally yoked etc. They said that if there was only one person for you then one person could mess up the whole equation for everyone because they marry the wrong person. The idea that there is only one person for you is what I’m not sure about nor have I really studied the Scripture to see what God says. I truly believe there is a beautiful sense of divine peace and assurance when you meet someone that is a great fit for you. There are no huge questions or back of your mind doubts where you say, ‘I don’t know about that part of him’ or he doesn’t believe something in the Bible that you know for sure is in there! You just know without a shout of doubt and you just have to learn each other and your ways. The imperfections and minor hang ups are just character to the masterpiece of your growing relationship. Just like how you know you found the perfect dress for an occasion. It fits you perfectly, you can’t believe you found it or understand how it fits you so perfectly. For me, it’s not too tight, not too short, not too grandma, but not too much skin. Just enough style and a perfect color for my skin complexion. You can’t take it off, you just want to walk out the store in it. And you found it in the nick of time!!!! You just know its the perfect dress! However, I’ve had that feeling for more than one dress, but I thought each was perfect for the respective occasion. *Note men and women and marriage can not be compared to clothing, lol! I pray I’m patient and I truly hear from God before I marry the man of my dreams! Have you ever had a bad dream about marrying the wrong person? Or going to your wedding without a dress! It’s awful, not trying to have an experience like that in reality, lol! I understand divorce can happen and I don’t completely disagree with divorce. I disagree with the average reasoning that you hear like, “irreconcilable differences” and “we grew apart.” As far as, in a two saved people marriage, oops we married the wrong one, our purposes don’t align lets get a divorce. I’m not sure about that, God has a judgement either way and can keep you either way, if you want to be kept. I think if you come to recognize your purpose and realize that the person you married may not be the best fit for that purpose the choice is yours to divorce or not, but as far as Scripture, I don’t believe that is grounds for a divorce. I think you can still pursue your purpose and obtain it. Although that pursuit may be longer and/or harder than it needed to be because of who you married which is just a consequence to the choice you made not a grounds for divorce. We serve the God with whom all things are possible! Even when we make the wrong choices His grace can cover us and keep us as we endure the consequence of our choices. But our wrong choices do not negate us reaching our divine purpose. If we can’t reach our divine purpose when we marry the wrong person or make the wrong choice then maybe it wasn’t a divine purpose to begin with. I would say divine purposes can not be stopped based on what you do or do not do. It’s God’s will and you will get there kicking and screaming or aligned and in order. It’s a divine purpose set before you were even born, not a free will decision. You are so spot on! With a hint of humour,lol! I’m loving the comments! It’s a tough subject! Looking forward to addressing all of them that were shared on both FB and here in my blog next week! Hello everyone, I’m not sure if it’s still OK to post a comment on the 5 keys of Identifying your soulmate, but I’ve watch this video about 3 times and I must say that I’m a candidate that Pastor Roberts was talking about (entering into merriage without any guidance and conformation of the Lord). You see, I’ve been married for about 6+ years and knew from the beginning that who I married wasn’t the one (crazy right?) She was going through a tough time with her ex husband and was trying to come back home to her). On the other hand, I was living a life full of everything but God. To make matters worse, I had a few people tell me that just because we’re both Christians (after finally recommtting myself to God), that it doesn’t mean that we have the same destiny. When this was told me, I was in the process of recovering from a backslidden life for about 1 year: so when these people where talking to me in this way, I just didn’t understand them (within my inner man) the way I should of. To make a long story short: it’s now to the point that I must make a decision: the door has been open for the longest (she herself have opened it a few times) but I never had the guts to do so. This is my first merriage and really don’t know anything else but this. Nonetheless, I love God more now then I did when I said “I do”. You guys, please pray for me: life is difficult when marrying someone you yourself know you shouldn’t of. But I must make a decision: my only set back is that I don’t like hurting people because I’m genuinely a people’s person and care for everyone in some kind of way. ANY COMMENTS, WISDOM, AND INSIGHT WILL GREATLY HELP. Thank you! I believe God can lead you to ONE person He has designed for you. Personally the older you get the more picky you are and the less you are attracted to most people, so at this point I think I would pretty much know the right person. I think it would be extremely hard to be married to someone who doesn’t support the vision you feel God gave you. Best to be careful in the first place. I would never get involved with someone who doesn’t support me, so honestly I don’t get involved with anyone because I haven’t found that yet. I believe that there are 2 sides to this topic. 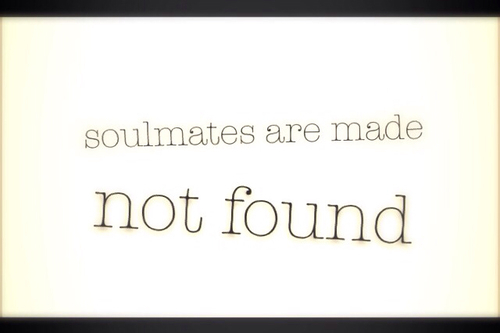 People can choose their soul mates or the Lord can choose their soul mates. Sometimes, people can get caught up in various reasons for marrying without consulting God first. Initially, I sought God out for reassurance that I was doing the right thing. The morning I was to get married, it seemed like the sky opened up and I would need Noah’s Ark to make it through the day. I believed that was God sending me the sign I prayed for, but I ignored it because (I chose my soul mate over God’s choice). I too have been raised to believe that marriage is until death do you part, but does that have to mean a physical death? No, in most cases it is the death of the relationship and whether or not it can sustain life at someone’s expense. Such as my case, I am discovering my purpose and I truly believe that my husband is not a part of it. So now, I struggle with the going forward of the divorce because I would rather walk in my purpose than be connected to someone who is not a part of it. So many times divorce has a stigma attached to it, but sometimes its the only resolution and best decision for everyone involved. There is no need to stick around to make another person’s life miserable because you aren’t operating in what God called you to do. Divorce is sometimes a blessing in disguise, we just have to recognize it for what it is. in character, all of this as we grow in our knowledge and relationship with God. This is what marriage is supposed to reflect. This is Gods purpose for marriage. Two sinful people who have been made righteous living out the gospel. Please do yourself a favor and find someone who understands this and will commit themselves to embark on that journey with you. Stay away from teaching like this that is not biblical and does not point to Christ. We were made for His purposes, to be used as He sees fit. You may not understand, He could be using you in the midst of a tough marriage in ways beyond your comprehension. Nowhere in the bible, which reveals Gods will for us, does it even remotely teach on this new age understanding of “purpose” that has infiltrated the church, it’s like if you are not doing big and glorious things for God then He is not fulfilling His purpose for you. No, God is in the minute details of your life, working for His purposes even in your pain, failures and mistakes. Arm yourselves with rock solid teaching that will help you weather the storms of life, sadly this is not it. I hope people understand your comment so that we live right as Christians… God hates divorce. And as for the purpose thing, The woman is even supposed to submit to the man’s ‘purpose’ or leading. Excuse my straight forwardness, but this is a bunch of BULL!! I listened to the full message and I disagree w/ #4 & 5. PLEASE people of God, STUDY YOUR BIBLES! There is NO such thing as a “soul mate” marriage. For two believers, there is only MARRIAGE and DIVORCE. If this were true then, God’s WORD would’ve never told a spouse to STAY with an UNBELIEVER, for they’re sanctified by the BELIEVING SPOUSE, but if the unbelieving spouse decides to LEAVE, let THEM(The UNBELIEVING spouse) do so, for God has called us to peace. (1 Corinth. 7:13-15) We as the BELIEVER are still bound by Gods Word to HONOR/KEEP the covenant ON OUR END. Let’s just keep it REAL……We get divorce, outside of biblical grounds because of our own various SELFISH fleshly desires. When we are lead by our flesh, we ARE NOT in the spirit and therefore unfortunately make ungodly choices, PERIOD!! God of course knows this, that’s why He said be lead by the SPIRIT and if you do, THEN you WILL NOT fulfill the lust of your flesh. Yes, getting a divorce outside of biblical scripture is acting in your flesh! Again, bottom line, we get divorce because we simply want our OWN will to be done and want to. When we can own up to this and take FULL ownership of this truth, God’s grace and mercy is there to forgive and give you another chance at getting it right, by your OWN CHOICE of WHOMEVER YOU decide to marry, as long as they are saved/equally yoked. With the term “soul mate”, the dangers of this way of thinking is looking for that perfect person, when there is no such thing, resulting in unrealistic expectations. This keeps an open door to whenever you feel you “missed God” down the road, you can give yourself an out. Your spouse will AUTOMATICALLY line up w/the vision and purpose God has for your life simply by just being a MARRIED to you. It’s NOT ABOUT YOU anymore when you get married and He knows how to get all the glory throughout it. God would NEVER want you to sacrifice your marriage for ministry/purpose. PRAY for your spouse and believe God will bring DELIVERANCE and RECONCILIATION. Also, there is NO such thing as “growing apart”. PLEASE people of God, DON’T BELIEVE THE LIE!! If we alter/”tweek” the Word of God even just a LITTLE, it becomes a doctrine of the devil! There is NOTHING “new-aged” or “for today” that changes biblical standards no matter what the majority are doing or the statistics. Remember, God said He HATES DIVORCE, so even when you CAN divorce on biblical principles, NEVER take it lightly or act hasty on anything God said he HATES. I pray that God will open your eyes and ears with understanding so that you will not be DECEIVED in these last and evil days, in Jesus name. “Then I will tell them plainly, ‘I never knew you. Away from me, you evildoers!”(Matt 7:23). “COVENANT KEEPING WITH GOD, IS THE FOUNDATION OF COVENANT KEEPING WITH YOUR SPOUSE,” per John Piper. Staying Married Is Not About Staying in Love, Part 1 & Part 2 by John Piper. It is sad that God’s Word is so demeaned that we no longer find it the source and basis by which our opinions are formed. If that were the case then we would easily see the fallacy and deception in this so-called 5-pointer justification for what God truly hates. Our discussions would be around God’s opinion as is very clear in His Word than around our own. Many false teachers are gone out and are deceiving many-a-itchy ear crowd that want their lusts satisfied and justified. Sometimes I wonder if the world is so dilusional that we are willing to twist the Word to our likings. Death is death. . . unto death do us apart, means physical death. To teach that divorce is okay for any reason is false teaching. Even if we marry outside of God’s will due to free will, God still covers those marriages. God hates divorce and it too is outside of the will of God. If you’d look at marriage as covenant keeping, instead of a worldly relationship, God’s purpose for marriage would be easily grasped. 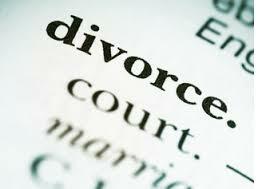 The only rule to divorce is adultry, which does not give the guilty party the right to remarry. If he/she do remarry, he/she continuesly commits adultry when sleeping with the new spouse. Therefore continuously sin against God. Jesus permitted divorce under the circumstances of adultry, but continued to hold fast to Gods original plan for marriage. Marriage is a sacred covenant that should not be entered into lightly.